Mark is a senior research scientist with the CSIRO Oceans and Atmosphere Climate Science Centre. His research focuses on the observation and modelling of oceanographic processes (waves, tides, storm-surges) on the continental shelf. He has been involved in ocean renewable energy research over the past 10 years, characterising Australia's available ocean energy resources. 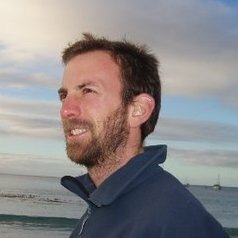 Mark is also recognised for his work identifying coastal hazards, particularly in the context of a variable and changing climate.